Mobile Logger Supports Multi-session, More Memory & Dual Display! 12kV Transient Protection, 1kV Fuses, DC+AC True RMS, Duty %, 4 Digit Resolution, nS Conductance... And More! 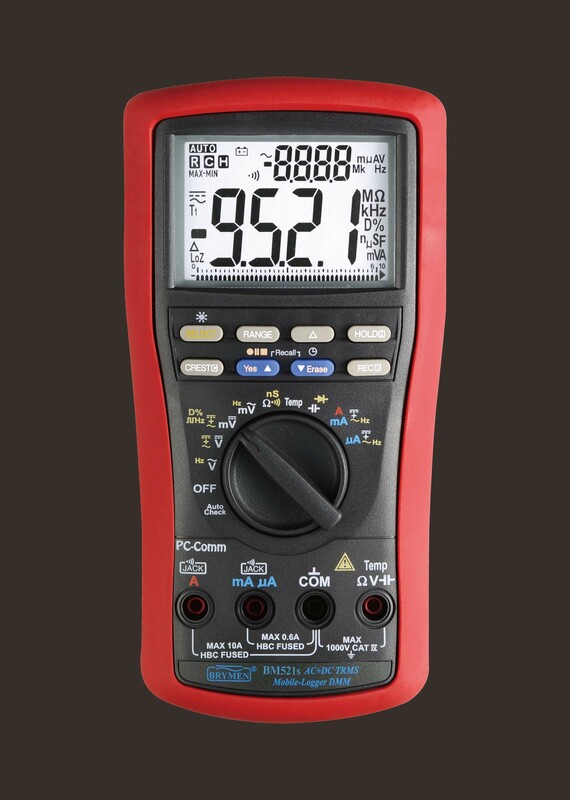 Data-Logging, PC-Comm, Bar-graph, BeepJack, Crest (Peak), Rec (Min Max), Relative, Backlit... Full-Features!